Facebook will place your most used services on the navigation bar of its app on Android and iOS. 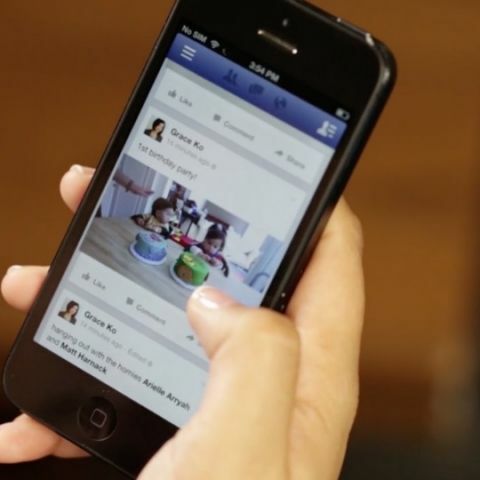 Facebook is making some changes to its app’s navigation bar on Android and iOS. The navigation bar on Facebook will soon be populated by the most used services, personalised for each Facebook user. The news comes from CNET, which reports that Facebook is looking to bring users closer to their favourite services on the platform by redesigning the navigation bar which rests on top in the Android app and the bottom in the iOS app. As of now, Facebook users can see four icons on the app in India - Newsfeed, Friend Requests, Notifications, and the Hamburger menu to access shortcuts, apps and other linked profiles. With the redesign, Facebook will probably show users anywhere between 4 - 6 icons in the navigation bar. At first, Facebook will automatically choose a user’s most used services and place them on the navigation bar, but going forward, the company plans to give users control over what they see by providing an option in the settings to change these icons. "We want the shortcuts available in the navigation bar to reflect how an individual uses Facebook," Product Manager Alexa Andrzejewski stated. "To that end, we're customizing mobile shortcuts so everyone can more easily connect with their most frequently used products," Andrzejewski added. Facebook products and services which do not show up on the redesigned navigation bar will still be available through the hamburger menu. The social network will also send users an alert when it changes or adds an icon to their navigation bar on the app. Facebook has reportedly been testing this navigation bar redesign since February this year and it will be rolled out globally in the next few weeks.